Every year BBC Music selects a number of artists they believe will go on to achieve big success in the following year, with previous winners revealing just how right they usually are. In previous years, Sam Smith, HAIM, and Adele have taken the top spot. Last year saw Years and Years take the number one spot, beating out the likes of Kwabs, Lapsley, Raury, Shura, and Stormzy. This year could be anyone’s game, however, with the list looking just as eclectic as previous years. 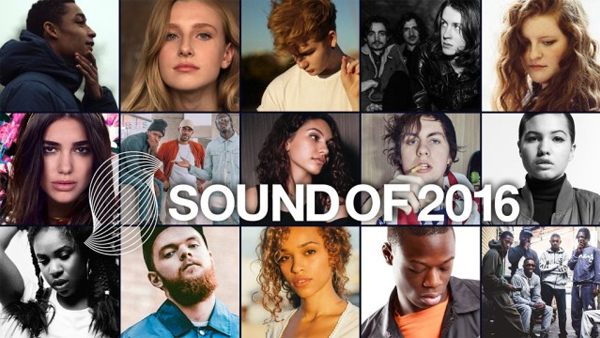 The list includes Jack Garratt, Mabel, Mura Masa, Alessia Cara, and Section Boyz among others. It’s not quite as widely diverse as the Sound of 2015 longlist, but it’s full of just as many interesting acts. The frontrunner this year looks to be Jack Garratt, who has been making a name for himself thanks to his catchy songwriting and impressive versatility. Read more about the nominees here. Check out the full longlist below, and then check out previous winners below that.